YouTube MP3: Here we are with a list of top five YouTube to mp3 converter apps. Watched a video on YouTube.com, liked it, loved it and now want in your playlist? No issues guys! You can convert You Tube videos into mp3 format for free. So let the countdown begin. This free Android app lets you download YouTube videos and music as MP3 and MP4 files. Videos can be downloaded in three easy steps. The first step is to search for the required video which you want to download. The second step is to click on the desired video and click download. The third step is to select the format as per your wish. If straight and simple gets the top priority in the list, then this is the app for you. You need to convert the YouTube videos to mp3 and that is exactly what it does. Nothing less, nothing more. It comes with no added frills and maybe is one of the easiest to use. Get the app from the Play Store and install it on your phone. Simply paste the link of your video and click on Get MP3 button and that’s all. Your audio file starts downloading. This awesome app which works with the integration of an opera account has got the option of downloading videos from Dailymotion as well, making it one stop shop for all your entertainment requirements. Of course, all the videos can be saved not only as high quality but also as MP3. How to use Droid YouTube Downloader? One needs to have an opera account to download this app. After you install the app, you can simply search for your content in Find videos tab. Results are shown in a separate tab and you can choose to download any of the results simply by pressing the Download button. What sets it apart from others is that it provides you with the options like sharing content over social platforms, background download, play pause and support for different formats including HD ones. Simply download the app from the link or get it from the Play Store and install it on your device. Once you open the app, you would be able to see the search option on the top right of the screen. Simply search for your required videos and click on download. After this, you will be provided with a plethora of options to choose the format and the size of the video. Select the mp3 option and the download starts. This app is basically a simple YouTube video downloader but provides you with the option to convert to mp3 while downloading, so you directly get an audio file. The app is not available in the google play store and can be downloaded from the SourceForge platform. How to use Android YouTube Downloader? Get the app from SourceForge and install it on your phone and when you open it for the first time, you are presented with the settings screen wherein you have to select the location where you would like to save your content. After the setup is complete, you are good to go. Simply open the dashboard where you can browse for your video and click on download button and it starts within seconds. Surely this is gonna be the best bet when it comes to getting mp3 from youtube while on an android phone. With its direct download button doing the trick in a single click and an easy to use interface, it was bound to outsmart all in the list till now and be the top notch. You simply download the app from the play store and install it. It gives you a browser interface which automatically opens You Tube by default. All you have to do is to search for your favorite video and click on the Download button on top right. That’s all. Your download starts within seconds and you can later see it in the library once the download hits 100%. It lets you convert videos, even the locally stored ones, into MP3 and WAV format. You can edit the metadata associated with the desired file. 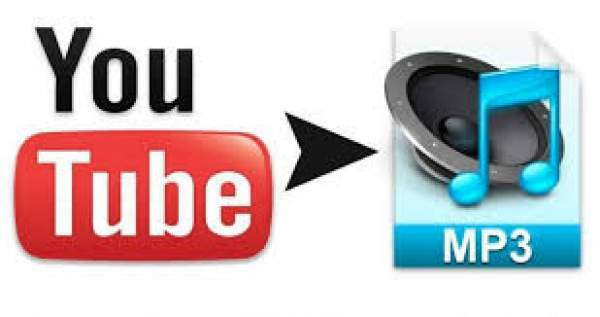 This is the list of YouTube to mp3 converter for Android, iPhone (iOS), Windows, and Mac OS. Stay tuned to TheReporterTimes.com for latest tech updates. mp3ormp4.com is online service to convert videos from many popular sources – YouTube, Vimeo, Dailymotion, Facebook, SoundCloud, Vevo, and others to mp3 format. Absolutely fast and free!